Executive Luggage Tag Get your executive luggage tag today.One side is imprinted with one standard color and the other has a clear plastic pocket with a standard ID card. 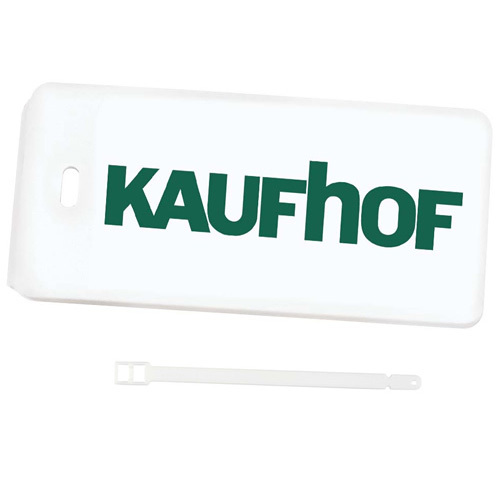 The tag can accommodate a standard business card. Includes standard I.D. card and white plastic strap that are shipped bulk. Bulk / 18 lbs / 525 pcs.